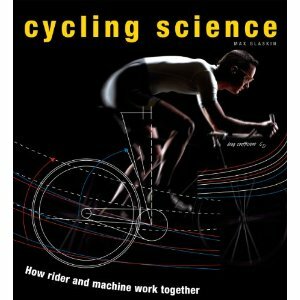 Now that the UK edition of Cycling Science is only a few weeks away from publication (2nd May by Frances Lincoln) I can get round to suggesting other books you might enjoy that are relevant to the science of cycling. And I might just sneak this blog entry under the wire before the end of March, if I’m quick. The original book covering the subject is 117 years old. Bicycles and tricycles:an elementary treatise on their design and construction, with examples and tables” was written by Archibald Sharp and published in 1896. If you want to know about geometry and a whole lot more, you can read it online or download all 12.6MB of it for free. If you are really interested in the engineering and physics of cycling, the standard textbook is Bicycling Science by David Gordon Wilson, with contributions by Jim Papadopoulos. The third edition was published in 2004 by the MIT Press. In places it’s quite academic but it contains a massive amount of technical information. The irrepressible Asker Jeukendrup edited a collection of essays, largely focusing on aspects of physiology, from many contributors in High-Performance Cycling, published by Human Kinetics in 2002. While a lot of new stuff has been discovered since the book was published, it’s got some great peices that are of practical help to competitive cyclists. The second edition of High-Tech Cycling, edited by Edmund Burke, was published by Human Kinetics in 2003. The essays from 13 different authors look mainly at the relationship between the cyclist and their machine, although there are also chapters relating to physiology and nutrition. A little dated now but I like it. Finally, how can I fail the mention the book that got me started so many years ago? I don’t have a copy any more so I’m going by my fallible memory when writing that it contained very little science. Yet its chapters on riding and maintenance encouraged me to ride further, more often and more enjoyably. What more can one want from a cycling book? 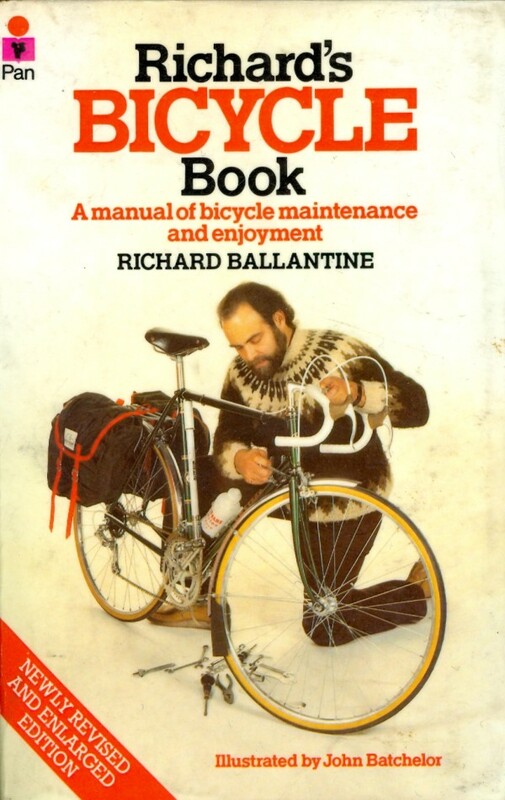 It’s Richard’s Bicycle Book, a paperback published in the UK in the 1970s. If you buy it, let me know what you think. And if you want to recommend other books relevant to cyclng and science, do send me an email or comment below. This entry was posted on 30/03/2013 at 12:07 pm and is filed under Books. You can follow any responses to this entry through the RSS 2.0 feed. You can leave a response, or trackback from your own site.